Listed “Monument Historique” (National Fench Heritage), the residence of the Marquis de Jumilhac is a legacy of five centuries of History, Art and Architecture in Marche Limousine. It reflects the glory and power of the Jumilhac family, its builders, and has the reputation to be the “Black Pearl of the North Perigord”. Visiting time and practical informations. Auriane’s tip: The castle does not accept the credit card. It is possible to visit the gardens only for a reduced price. Night tours every Tuesdays (low-season) and every Thursdays (high season), great surprises ahead. Read Auriane’s article. 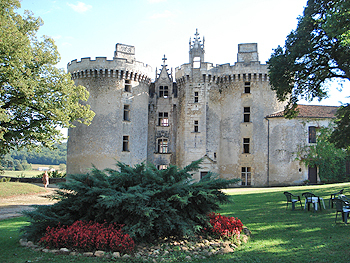 Situated between the large Ribéracois areas and a rough and high country in the North, Mareuil-sur-Belle is a former barony, one the four in Périgord, and kept its castle from the 12th century. Rebuilt in the 16th century. 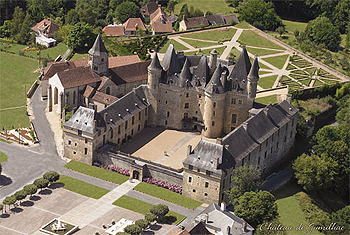 This castle, built at the beginning of the 16th century, presents the characteristic of the Loire castles from François 1st period. 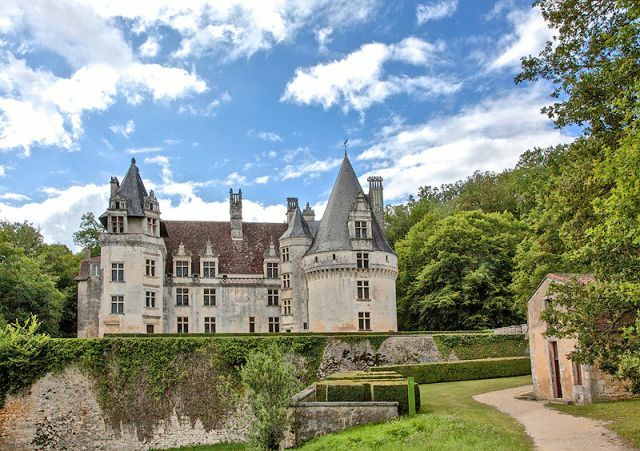 It is probably the most beautiful Renaissance castle in Périgord, at least the most original and the richest in sculptures. (Crédit Photo: F. Tessier, OT Périgord Dronne Belle) Practical informations. 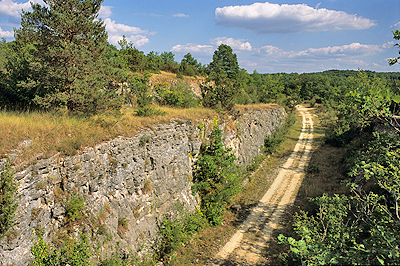 Bourdeilles Castle is built on rocks dominating the Dronne. 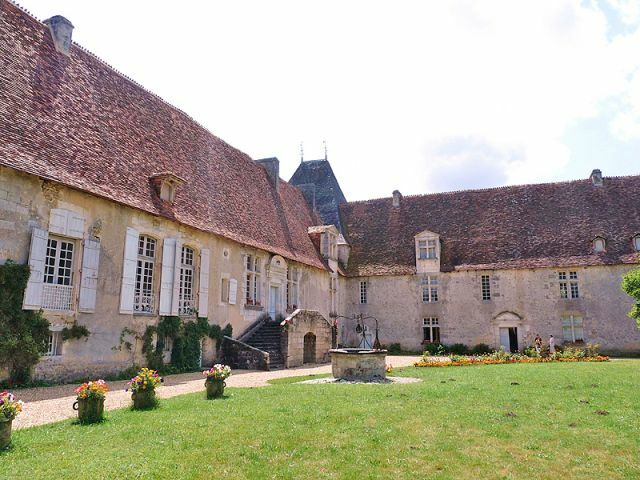 Former barony of Périgord, it is a feudal fortress and a un logis de la Renaissance. It offers a painted decoration from the 16th century and the 17th centuries. Visiting hours and Practical informations. Domaniating the Côle Valley, Château de la Chapelle Faucher belongs to the same family since 500 years. The castle is a legacy of 800 years of history. Devastated in 1916 by a fire created by a lightning, it preserved its curtain walls and its poster gate. 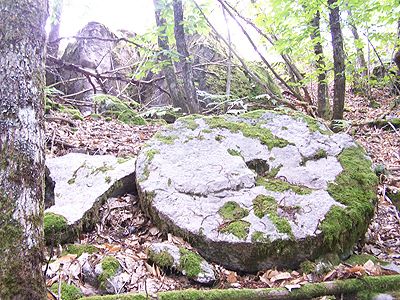 Grotte de Villars is situated in the heart of the Green Périgord, where the concretions are especially remarkable. The cave is decorated with beautiful and different paintings from the Magadlenian period; showing especially horses as well as a scene man/bison. Shady car park, shop, bar, covered or shady picnic area. Auriane’s tip: The Cro-Magnon theme garden displaying its environment and lifestyle. It is possible to visit only the park and enjoy the various workshops parietal art or prehistoric spear-thrower. Read Auriane’a Article. 10,000 years ago, there was only a big basin full of water. Century after century, in 10 times 1,000 years, men assisted to its natural filling and inscribed their history in the fragile soil. You will discover the peat making process, the pit exploitation by men through time and the precious souvenirs left over the years. You will learn how to date grounds and to reconstitute the geology and human history. You will see a world before there was pollution. Plants will count their secrets through the discovery trails. Signpost routes will provide you with novel information that cannot be found anywhere else. You will plunge in a very old cultural past. You will be amazed in front of this small natural sanctuary where the peatland carries on living with his multi millennia pace. Charlemagne founded Brantôme Abbey in 769. 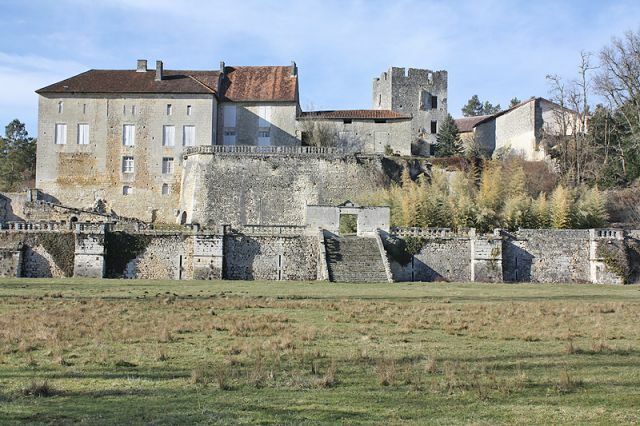 It was destroyed by the Normans and rebuilt in the 11th century by Abbot Guillaume. It is mainly the Abbot Pierre de Mareuil who built the most characteristic buildings in the 16th centuries. After an important refurbishment in the 19th century, you will visit today the Abbey’s church, the monastery complex, and the Museum Fernand. Auriane’s tip: a combined ticket is proposed for the visit of the cave and the cloister, church and tower bell. Tickets on sale at the Tourist Office. Read Auriane’s article. Abbaye de Boschaud is situated very close to Château de Puyguilhem. 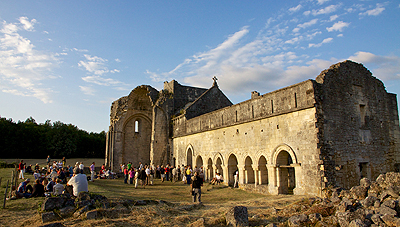 Come and discover this 12th century Cistercian abbey, destroyed during the One Hundred Years War and the religious wars. Sadly abandoned for a very long time, the “Monuments Historiques” (National French Heritage) take it in 1950 and start to clear and consolidate the ruins. Nested at the heart of the countryside, the ruins of this old abbey are really touching and worth visiting. D98 then on the left at St Crépin de Richemont. BERNARDIÈRES castle sits on the rocks dominating the Nizonne River. 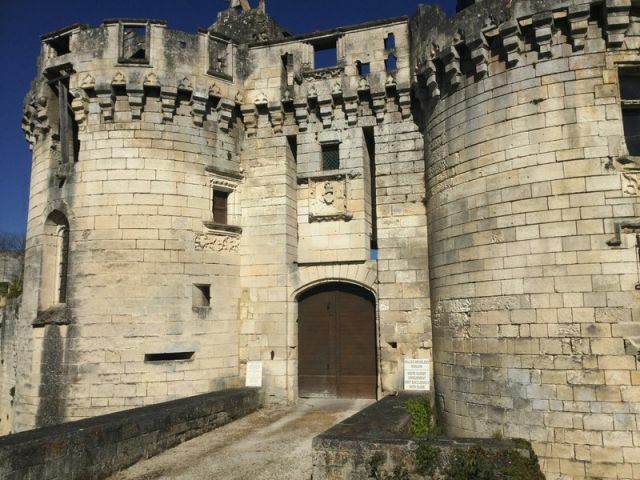 Lookout tower or outpost, it does not matter for Bertrand du Guesclin who chase the English in Septembre 1377. Atelier-Musée des Tisserands et de la Pantoufle Charentaise (Weavers and Charentaise slippers workshop/museum): situated in the castle, in which the stones are trace back from the evolution of architecture from the 14th century to the end of the 16th century, this workshop/museum shows the jobs, the technologies and the history of the textile felt and the weaver–peasant. 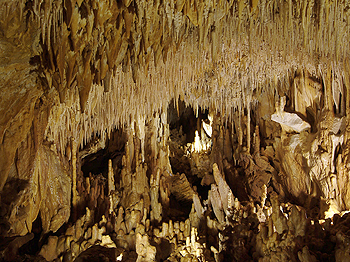 Beaussac cave is a cave with natural concretions. 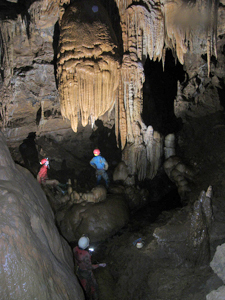 During the visit, different thematics are approached: speleology genesis, subterranean fauna, concretions, prehistoric man and cave man. The accessories for the speleology initiation are provided. Do not forget to bring your welly boots and some spare clothes. Accessible from 9 years old. Commented visits only, in July, August and September. 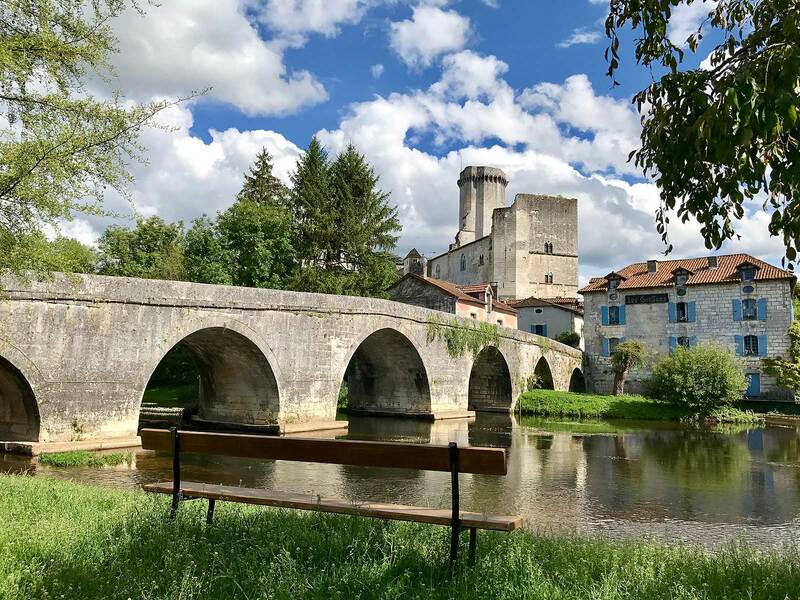 For the visiting dates, contact the Tourist Office of PÉRIGORD Dronne Belle. They are fitness trails and a good pair of hiking shoes is recoomended. During your walk through the rocks, you will admire the cascade and enjoy the calming noise of the river, which can be tumultuous at time. 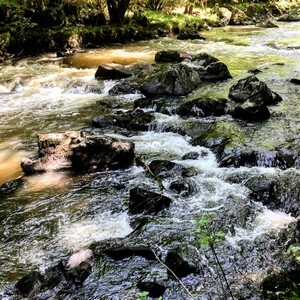 Many other loop walks go along the river, some of the walks allow to see different landscapes. Auriane’s tip: There is no network on most of the hiking trails. It is therefore recommende to do it as a group. Do not forget water, hat, solar cream and especilally the mosquitoes repellent. Read Auriane's article.